What the Michigan team is describing would be an incredibly useful set of capabilities if it can be made to work. 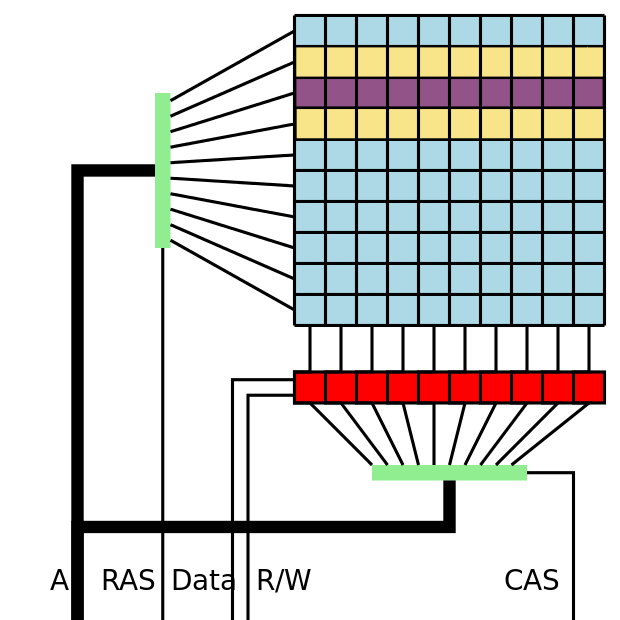 We’ve seen exploits before, like Rowhammer, that function precisely by targeting a given area of memory and hammering adjacent rows with repeated accesses in an attempt to flip bits within the target row (hence the name). Zero-day exploits are a common and potentially devastating problem. And frankly, it’s simply downright tiresome to be forever chasing down security bulletins and updating various applications. 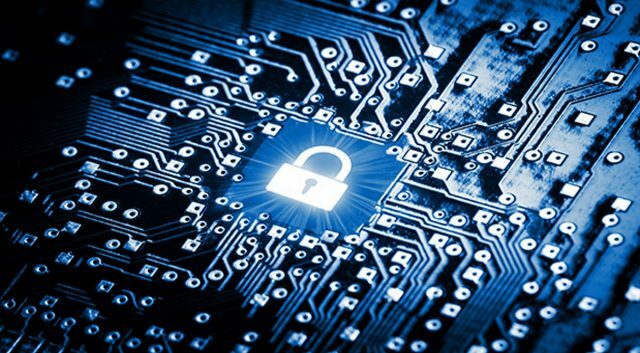 A chip that could juggle its memory addresses and keep data safely encrypted could be useful in a wide range of security applications. 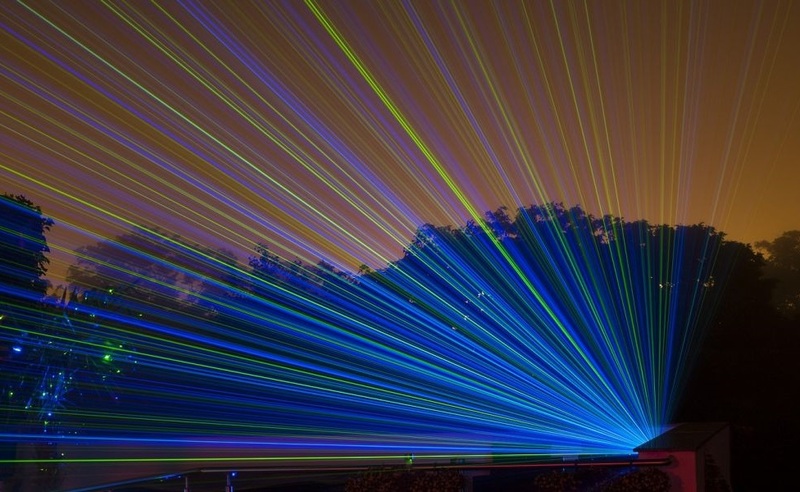 Laser-Delivered Internet Could be a Game Changer for Millions of Indian Citizens. Across India, there are large gaps in broadband internet access. A new effort by a telecom company and X, a subsidiary of Alphabet, will hopefully deliver internet to millions more using lasers. The National High Magnetic Field Laboratory has created the world's most powerful superconducting magnet. Named 32 T, it's 33 percent more powerful than the previous record-holding magnet, and thousands of times stronger than refrigerator magnets. The National High Magnetic Field Laboratory (National MagLab) is no stranger to breaking records. 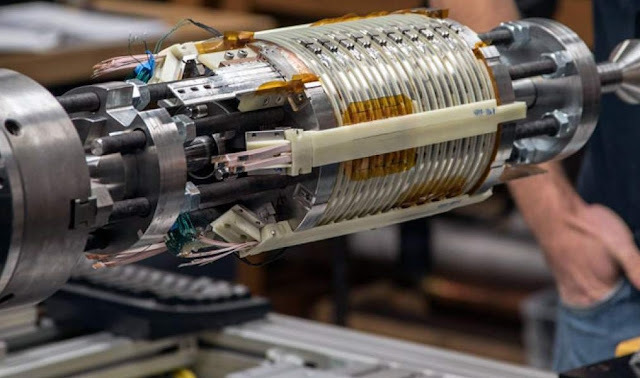 In August, the team took back the title of “world’s strongest resistive magnet” after losing it in 2014 with their Project 11 magnet that reached 41.4 teslas, a unit of magnetic field strength. On December 8, they came back once again to set a new record: this time, for the world’s most powerful superconducting magnet. The team doesn’t intend to stop at 32 teslas, however. One day, the superconducting magnet may be as powerful as the lab’s record-breaking resistive magnet, though MagLab engineer Huub Weijers who oversaw the magnet’s construction foresees magnets going even further beyond that. Scientists have created plants that glow using embedded nanoparticles in leaves, potentially paving the way for trees to replace streetlights. Experts at the Massachusetts Institute of Technology (MIT) hope their discovery could lead to traditional light sources being replaced with self-sustaining alternatives. "The vision is to make a plant that will function as a desk lamp – a lamp that you don't have to plug in," said chemical engineer Professor Michael Strano, the senior author of the study. 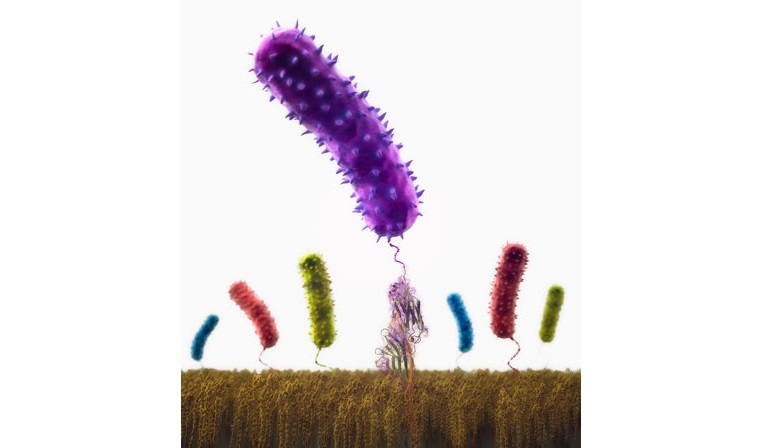 "The light is ultimately powered by the energy metabolism of the plant itself." To give the plants their glowing ability, Professor Strano and his colleagues used luciferase, the substance that gives fireflies their glow. They created nanoparticles containing luciferase, as well as other, larger particles containing luciferin and coenzyme A, which combine with the luciferase to produce the desired effect. 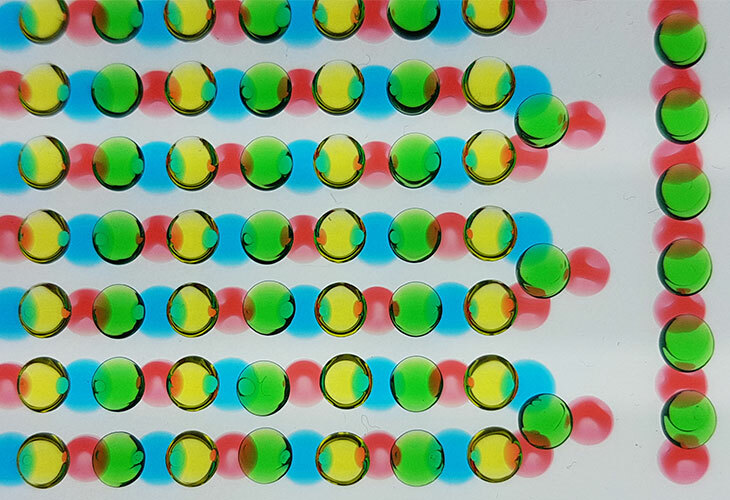 After immersing the plants in a solution containing these particles and exposing them to high pressures, the scientists were able to produce plants that glowed for nearly four hours. While the work is in its early stages, the team has lofty ambitions for how it could be applied in the future. "Our target is to perform one treatment when the plant is a seedling or a mature plant, and have it last for the lifetime of the plant," said Professor Strano. "Our work very seriously opens up the doorway to streetlamps that are nothing but treated trees, and to indirect lighting around homes." The results of the research were published in the journal Nano Letters. 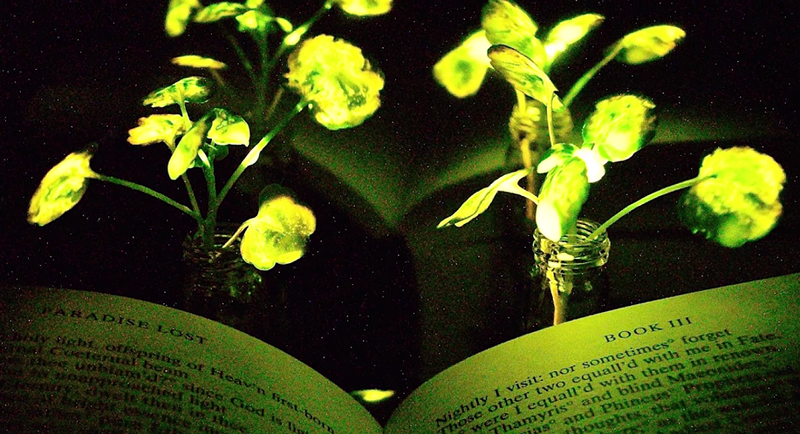 Other researchers have attempted to create glowing plants using genetic engineering. These efforts resulted in limited success, and were restricted to a couple of species that are commonly used in genetic research. The MIT team’s work, on the other hand, has already been tested on an array of salad leaves, including rocket, kale, spinach and watercress. "Plants can self-repair, they have their own energy, and they are already adapted to the outdoor environment," said Professor Strano. PR blasts about supposed innovation in battery design is a recent story about an MIT grad who founded a battery company is worth paying attention to. Qichao Hu is the CEO of SolidEnergy, a company that’s been working to improve lithium-ion energy density for the past five years. 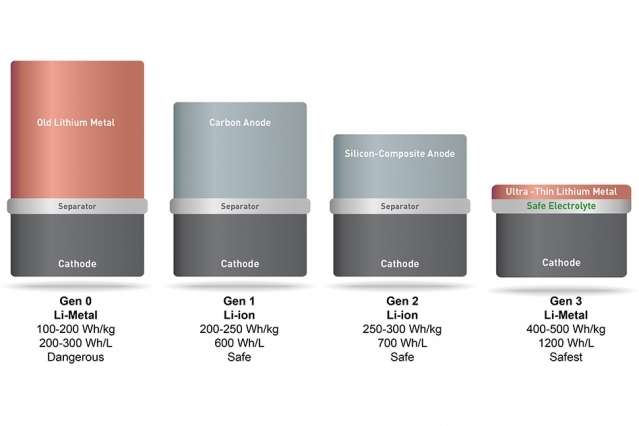 The problem with lithium-ion is that whether you measure by energy per kilogram or energy per unit weight, Li-ion batteries aren’t very good. The graph below also illustrates why fossil fuels are so difficult to replace. 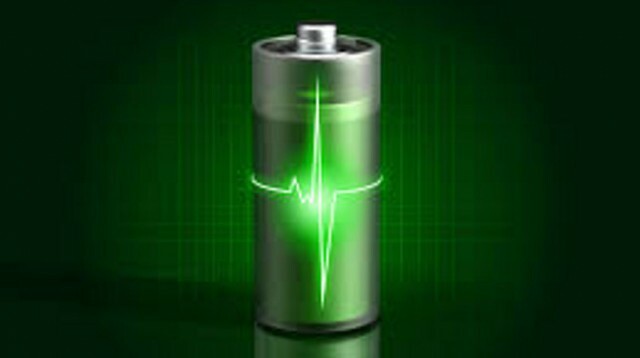 It’s not just because they pack a relatively high amount of energy though they do but because fuels like ethanol, kerosene, gasoline, and diesel are stable at room temperature and pressure (even if you need to keep a lid on them) and don’t require specialized storage or pumping procedures. Lithium-ion batteries, meanwhile, are the tiny dot at the bottom-left side of the graph. Anything that can bump them upwards or outwards is therefore an improvement and Hu thinks he has the answer. Will we see this technology come to market any time soon? I don’t know, but if it performs as advertised, we may. Battery capacity is the biggest single problem in many device designs; lithium-ion energy capacity has not nearly kept pace with device hunger. Removing the anode gives such a capacity boost, it could be a net positive even if the first commercial designs are below the predicted energy density. There’s no word on how hard it is to build these structures, but they don’t appear to rely on expensive metals (another plus), and there’s nothing particularly expensive about sulfur or phosphorous. None of this proves we’ll be packing smartphones with 2x the battery life in a year or two, but there seem to be fewer barriers to commercial introduction for SolidEnergy than we’ve seen in the past. Physicists at the University of Arkansas have invented a nano-scale power generator that could potentially use the movement of graphene to produce clean, unlimited energy. 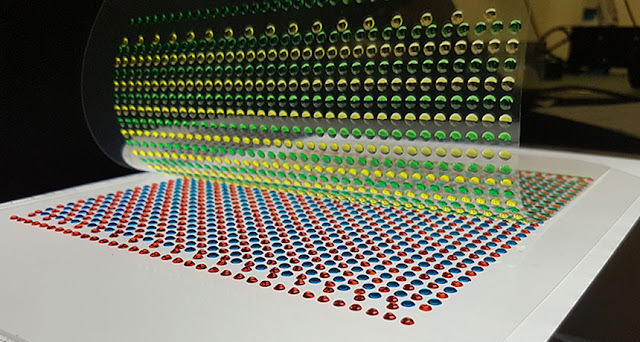 Called a Vibration Energy Harvester, this development provides evidence for the theory that two-dimensional materials could be a source of usable energy. Paul Thibado, a professor of physics at the university, got the idea for the generator after his team observed some strange, microscopic movements in sheets of graphene, which is made up of a single layer of carbon atoms. After laying out the sheets over a copper scaffold, the team was confused by the images they were collecting with a microscope. Once they started analyzing the sheets point-by-point, they made an amazing discovery — the graphene was essentially rippling, flipping up and down through a combination of small, random motions and larger, sudden movements known as Lévy flights. This was the first time such movement had been observed in an inorganic, atomic-scale system. The team determined that the movements were due to ambient heat at room temperature. Because of graphene’s sheet-like nature, its atoms vibrated in tandem, which sets it apart from the random vibrations you would see in, say, molecules of a liquid. Thibado said to Research Frontiers, “This is the key to using the motion of 2D-materials as a source of harvestable energy.” The tandem vibrations cause ripples in the graphene sheet from which we can harness energy using the latest nanotechnology. The researchers then designed a tiny generator to do just that. This device could have a drastic impact on our access to clean, unlimited energy. It could allow our tech to send, receive, process, or store information, powered solely by the heat available at room temperature. This clearly could have remarkable and widely varied applications. Now, while Thibado has applied for a patent and is insistent on the potential of this device, it has yet to be proven effective. It has remarkable possibilities, but we will have to see how the prototype of the tiny electric generator turns out before we know whether it is a viable energy solution. But, if the claims of this team prove to be true, it could revolutionize not only how we create energy, but the devices that we are capable of creating. 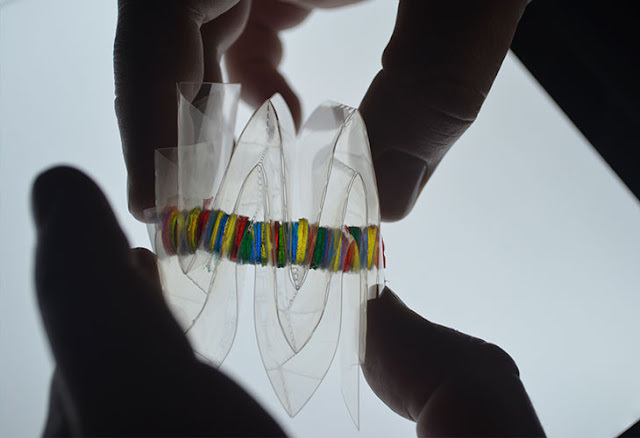 This could extend into a range of biomedical applications. Microscopic, self-powering capabilities could be remarkably helpful for hearing devices which often require frequent, expensive, bulky battery changes. Pace-makers and wearable sensors could also improve from such tech. Graphene could also power non-medical wearable technologies. From “smart” graphene fashion to in-ear translators and wearable cryptocurrency, devices that blend with our organic shapes and movement are becoming increasingly popular and capable. While this unique application of graphene is new and has yet to be fully proven, Thibado and his team will continue to explore the unique material’s potential as a clean, unlimited energy source. Such a power source would be game-changing, as it could immeasurably advance technologies that are becoming more compatible with our own human biology. Finding hidden swirls of electric current shows that the material’s behavior matches standard theory. VORTEX FOUND Newly observed swirls of electric current in a high-temperature superconductor (shown in an artist’s conception) may indicate that the unusual material fits within the standard theoretical picture. Certain copper-based compounds superconduct, or transmit electricity without resistance, at unusually high temperatures. It was thought that the standard theory of superconductivity, known as Bardeen-Cooper-Schrieffer theory, couldn’t explain these oddballs. But new evidence suggests that the standard theory applies despite the materials’ quirks, researchers report in the Dec. 8 Physical Review Letters. All known superconductors must be chilled to work. 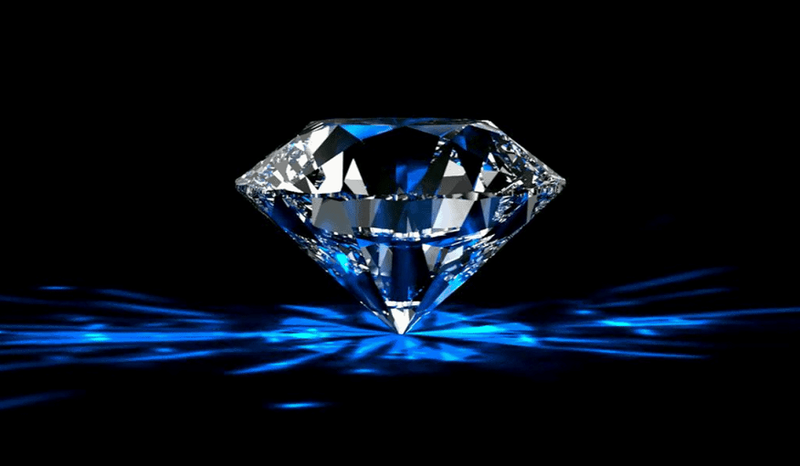 Most must be cooled to temperatures that hover above absolute zero (–273.15° Celsius). But some copper-based superconductors work at temperatures above the boiling point of liquid nitrogen (around –196° C). Finding a superconductor that functions at even higher temperatures above room temperature could provide massive energy savings and new technologies (SN: 12/26/15, p. 25). 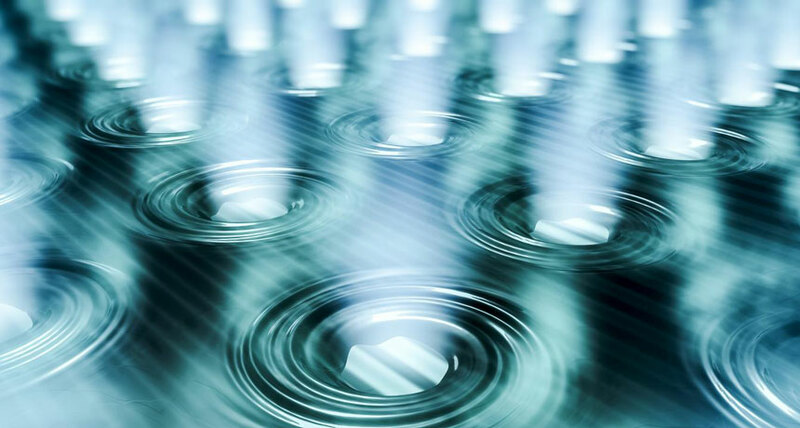 So scientists are intent upon understanding the physics behind known high-temperature superconductors. When placed in a magnetic field, many superconductors display swirling vortices of electric current a hallmark of the standard superconductivity theory. But for the copper-based superconductors, known as cuprates, scientists couldn’t find whirls that matched the theory’s predictions, suggesting that a different theory was needed to explain how the materials superconduct. “This was one of the remaining mysteries,” says physicist Christoph Renner of the University of Geneva. Now, Renner and colleagues have found vortices that agree with the theory in a high-temperature copper-based superconductor, studying a compound of yttrium, barium, copper and oxygen. Vortices in superconductors can be probed with a scanning tunneling microscope. As the microscope tip moves over a vortex, the instrument records a change in the electrical current. Renner and colleagues realized that, in their copper compound, there were two contributions to the current that the probe was measuring, one from superconducting electrons and one from nonsuperconducting ones. 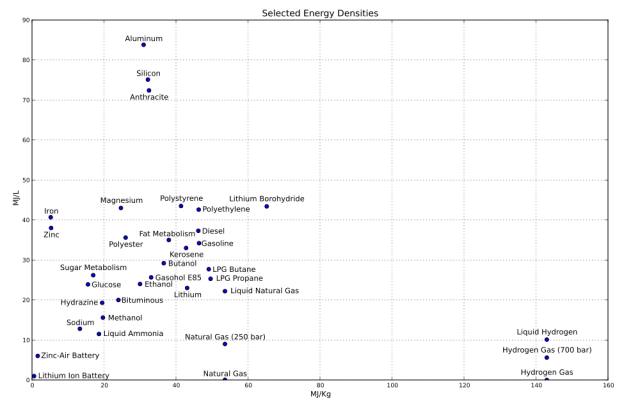 The nonsuperconducting contribution was present across the entire surface of the material and masked the signature of the vortices. Subtracting the nonsuperconducting portion revealed the vortices, which behaved in agreement with the standard superconductivity theory. 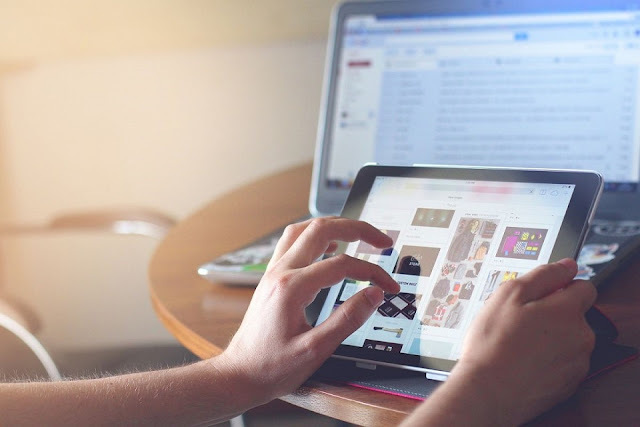 “That, I think, is quite astonishing; it's quite a feat,” says Mikael Fogelström of Chalmers University of Technology in Gothenburg, Sweden, who was not involved with the research.